This book will take your Swift programming skills to a level at which you can work as a professional software engineer, using a step-by-step approach, ensuring that the introduction of each new concept is preceded by a thorough understanding of those preceding it. The book covers a range of technologies, particularly those that you'll typically need, if not on day one of a new project (or a new job), then at least pretty soon after. These include not just Apple's Xcode, but also the Terminal app, Git version control, package management, the Swift REPL, and the LLDB debugger, all of which are essential skills. 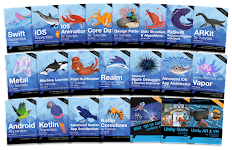 Each chapter focuses on a particular topic or technology, giving you a deep dive into the skills and know-how that will take your work to a professional standard, in terms of code quality, maintainability, and robustness. 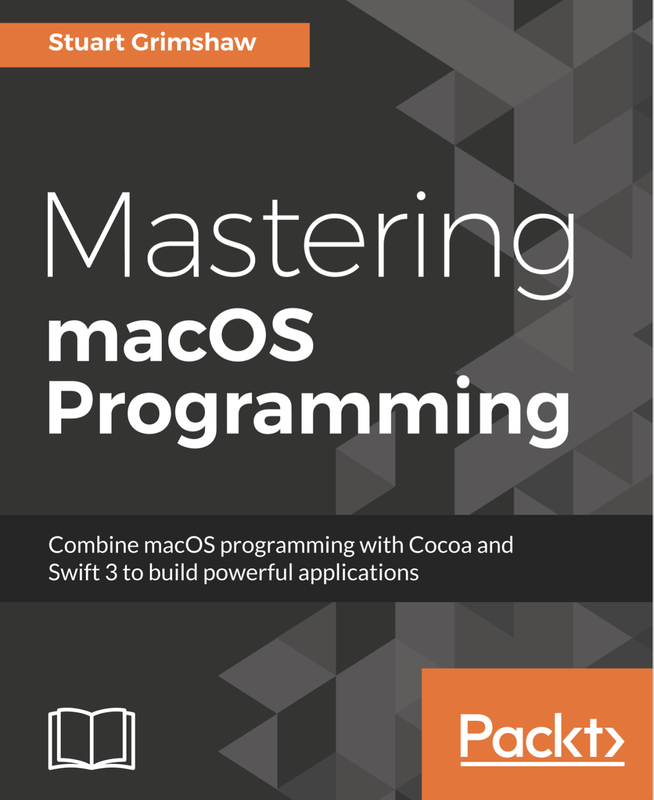 This entails general topics, such as programming paradigms and design patterns, a general look at the Cocoa frameworks and their place in the macOS ecosystem, and of course specific technologies around networking, storage, and advanced graphics and animation. Furthermore, a significant portion of the text is devoted to such thorny issues as concurrency, asynchronous programming, and error handling. By the end of this book, you will be able to confidently approach projects of much greater size and complexity, and be well placed to comfortably deal with the various issues that all programming inevitably brings with it. Coding is a never-ending journey. This book aims to get you on the right track, and a fair way along it. Chapter 1, Hello macOS, explores the context in which the rest of the book is set and takes a look at developing for Apple platforms in general, and the direction that development is heading in. Chapter 2, Basic Swift, takes a broad, high-level view of the Swift programming language. Chapter 3, Checking out the Power of Xcode, introduces some pro-orientated aspects of this powerful, integrated Development Environment created by Apple. Chapter 4, MVC and Other Design Patterns, covers a number of ways to help you plan your projects, from high-level conceptual down to the benefits offered by different styles of programming at the code level. Chapter 5, Advanced Swift, investigates some of Swift's more powerful language features and idioms. framework code that relieve many of the burdens of low-level coding and boilerplate. Chapter 7, Creating Views Programmatically, is concerned with giving you total control of your user interface, by moving beyond the constraints of visual UI editing. Chapter 8, Strings and Text, looks at how to master the all-important textual features that are part of nearly every app you'll write for macOS. Chapter 9, Getting More from Interface Builder, gets you through the maze of functionality offered by Apple's user interface creation tool. Chapter 10, Drawing on the Strength of Core Graphics, drops us down to some low-level drawing routines, when the preconfigured UI offerings just aren't enough. Chapter 11, Core Animation, takes you to the heart of what makes macOS such a polished and visually engaging platform. Chapter 12, Handling Errors Gracefully, deals with the various tools you have at your disposal to handle all eventualities in your app, to produce a smooth and frustration-free user experience. Chapter 13, Persistent Storage, introduces some of the most commonly used scenarios for storing data on disk. Chapter 14, The Benefits of Core Data, takes you deeper into structured data persistence, keeping that critical user data organized and quickly accessible. Chapter 15, Connect to the World - Networking, looks at connecting your code to the Internet, using the web session frameworks that Cocoa provides. Chapter 16, Concurrency and Asynchronous Programming, aims to set some best practices, as well as investigate the appropriate tools, for dealing with time-sensitive data flows. Chapter 17, Understanding Xcode's Debugging Tools, helps you master some of the most important tools at our disposal--Xcode's debugging features--for those moments when it doesn't go quite like your plan. Chapter 18, LLDB and the Command Line, takes you into, and demystifies, working in the terminal, where all the really good stuff lives. Chapter 19, Deploying Third - Party Code, helps you understand the role of third-party frameworks and libraries, and how to productively integrate them into your codebase. Chapter 20, Wrapping It Up, gets your code from your hard drive to the App Store, avoiding the most common pitfalls along the way. To create and build the code presented here, you will need nothing more than Apple’s Xcode software package, which you can download for free in the App Store, and a Mac to run it on. A number of other tools are introduced, such as the OS X Terminal app, which are already installed on your Mac. Testing the code can be done on any installation of macOS. 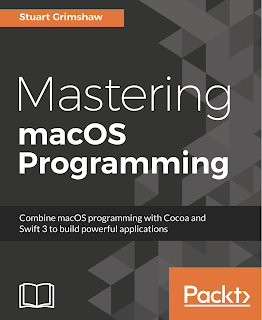 If you have intermediate knowledge of programming in Swift and are looking for the best way to take your development skills to a professional level, this book is just the right one for you.